July 29, when the SNF PPS Final Rule for FY 2012 was released. If you recall, the implementation of MDS 3.0 and RUGs IV last October modified minute recording; requiring individual, concurrent and group minute delineation. It also changed the definition and allocation of concurrent minutes. Concurrent therapy was defined as two residents who are not performing the same or similar activities, at the same time, regardless of payer source, both of whom must be in line of sight of the treating therapist or assistant. These minutes would be divided by two, allowing a therapist/ assistant to only get credit for half of the minutes delivered to each resident. CMS recognized concurrent therapy as a valid method of service delivery, but believed it was not being utilized properly. deliver the same amount of therapy prior to Oct. 1, 2010. CMS made no changes to the parameters surrounding group therapy, until now. In the Final Rule, CMS changed the definition of group therapy to the treatment of four residents, regardless of payer, who are performing similar activities, and are supervised by a therapist or assistant who is not supervising any other individuals. The limitation of 25 percent per discipline per week still applies, but the minutes provided in a group setting will be divided by four. If four patients are in a group for 60 minutes, each will have only 15 of the 60 minutes apply to their rehab RUG category or count as 'reimbursable therapy minutes'; (RTM). If a group is planned with four participants and one is not able to attend; therapist can carry out the group, but the minutes will still be divided by four. The changes to both the concurrent and group parameters over the years is counterintuitive to CMS; insistence that the therapy minutes should be based on the minutes of therapy the patient receives, not the number of clinicians necessary to deliver the service. In addition to this change, the PPS will now incorporate an every-seven-day look back period between the traditional assessments to validate that the patient continues to receive the same level of minutes as was established on the last scheduled assessment. If the resident's minutes no longer meet that level, i.e. the patient's RUG on the 14-day MDS was RU with 736 minutes and on day 7 after the ARD the patient had only received 702 minutes, a Change of Therapy (COT) OMRA would need to be completed to capture the RH that would begin payment the first day after the ARD for the 14-day MDS. This process would continue until the next scheduled assessment. Clarification to the End of Therapy (EOT) OMRA in the Final Rule states that if a patient misses three consecutive calendar days of all therapies for ANY reason, planned or unplanned, an EOT OMRA would need to be completed and the missed days would not be covered by the Rehab RUG. This is regardless of whether the facility provides therapy five, six or seven days per week, and regardless of whether the facility is still in compliance with the physicians order. CMS has provided guidance that if therapy is likely to resume within five calendar days;from the last treatment and will resume at the same level as was previously being delivered, the facility can complete the EOT-R (End of Therapy Resumption) and the therapist will not need to do a new evaluation and plan of care. However, if more than five days is missed or a clinical change has occurred, the EOT-R would not apply and a new therapy evaluation would be required to resume treatment. CMS has lifted the requirement of line-of sight supervision related to therapy students in a SNF environment. It will be left up to the discretion of the supervising clinician as to what level of supervision the student requires. The student and the clinician are still considered a unit and must adhere to proper billing parameters. The student is not permitted to carry a caseload independent of the supervising clinician. 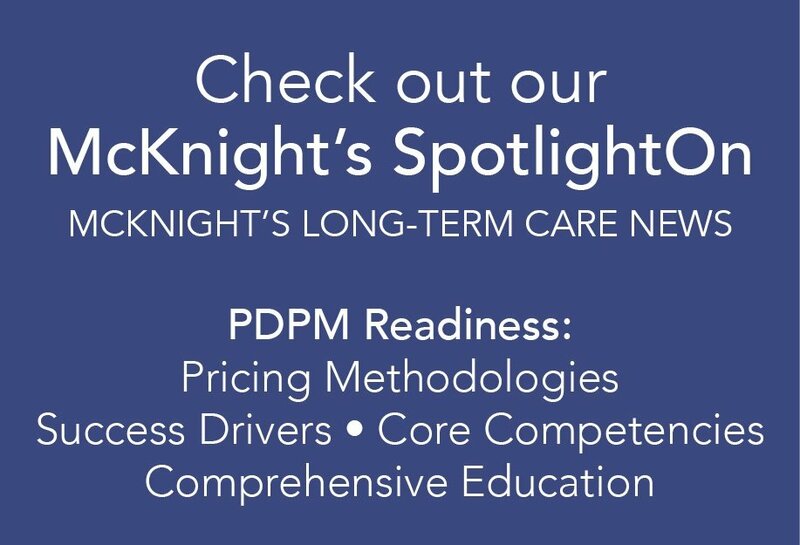 While the industry continues to get hit with cost cutting efforts from CMS, providers will continue to provide quality rehabilitation services. Heritage Healthcare Inc., Greenville, S.C.